Often when a microcontroller is being used, we want it to know when certain things occur, and then have something happen in response. A simple example is to have a pushbutton determine when an LED turns on. One implementation that would satisfy this is called “polling”. Inside of the main while loop we could test the state of an input pin every loop iteration and turn on an LED depending on its state. The above psuedocode checks the pin state of an input pin connected to a pushbutton and depending on the state turns on or off an LED. Polling a pin state becomes tricky when you have to do other things in your event loop, especially things that take a lot of time. If for instance you needed to send or interpret some kind of serial data, doing so would take many clock cycles. This would essentially add latency to the response time of the LED to the pushbutton, as checking the pin state would have the same priority as every other sequential task in the while loop. Hardware interrupts allow for asynchronous handling of system events. If an interrupt is set for a pin, when the pin state changes the code execution in the main loop halts and the code inside an Interrupt Service Routine (ISR) function is executed. In the previous post we learned how to blink an LED with an ATtiny85 by using a _delay_ms() function to halt the program execution after turning on and off the LED. The downside to this approach is that the _delay_ms() causes our code to hang up while the function spins in a loop up to the specified time. This is a waste of CPU clock cycles, and makes doing anything else in the event loop nearly impossible. Let’s stop the pointless spinning. In this post I will introduce the two timer/counter hardware peripherals that are inside the ATtiny85 chip, and show how we can offload the job of blinking an LED to one of them with the added benefit of using no clock cycles on the task. 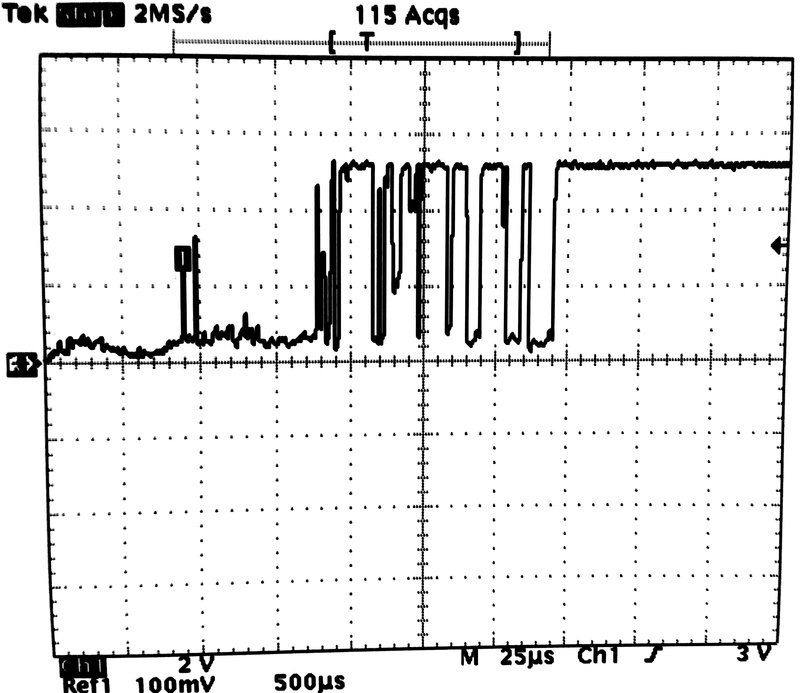 This frees the CPU up to do whatever else we wish while our LED reliably blinks away. If you are coming from a typical Arduino upbringing, this sort of flexibility and power is what makes learning how to truly program a microcontroller and its peripherals worth the effort. The ATtiny85 is a cute little AVR microcontroller that might surprise you with what it can do. We will be considering the 8 pin PDIP version shown above, since we can easily stick it in a breadboard and prototype away. In this project, we will get our toolchain up and running for the first time, and flash some code to blink an LED! The 8×8 LED matrix is a fun place to begin learning about how to control LEDs in a way that expresses something meaningful. You can create static images such as smiley faces, sprites, characters, and with some coding magic even create scrolling text and animations. In this posting I will detail how to control 8×8 LED matrices with the MAX7219 Driver chip to create a cascaded scrolling text display. 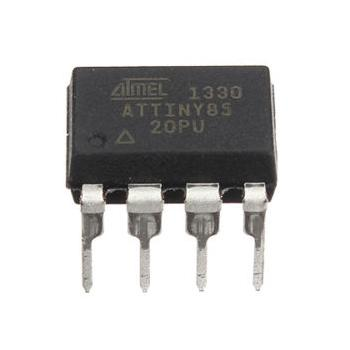 I will be using an AVR ATmega328P Microcontroller programed in C with the avr-gcc compiler.